This book 'Home Security Projects for Arduino ' you will Learn how to attach PIR motion sensors & Magnetic Door sensors to your PC using an Arduino board. Also how to make two Arduinos communicate wirelessly using NRF24L01+ radio modules. Make wireless sensors for PIR, Magnetic Door & Light sensors. Attach your 2nd Arduino to a Raspberry Pi and take a photo on your Pi & email it to your phone, when the remote wireless Arduino sensor is triggered. Connecting a PIR module to the Arduino. Setting up a spare Gmail account. 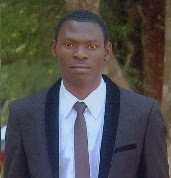 Python script with email function. How to grab an image from a webcam in Python. Capture a photo & email it as an attachment. Setup the Arduino software for door sensor. Python door sensor example on Windows PCs. Python door alarm script with email function. Cabling diagram for an Arduino Nano wireless PIR. Upload transmitter code to the Arduino for magdoor. Python code for wireless magnetic door sensor. Installing ManiacBug’s RF24 library for Arduino. Upload PIR transmitter code to the Arduino. Upload receiver code to a 2nd Arduino. Python script with email function to run on your PC. Python code for wireless PIR & door sensor to email. Make a standalone battery powered beeping receiver. Arduino & NRF24L01 receiver portable beeper Sketch. Setting up Arduino IDE software on a Raspberry Pi. Python script to capture from Pi Camera module. Make a wireless Arduino LDR light sensor. Sketch code for wireless Arduino LDR light sensor. Python code for wireless Arduino LDR light sensor. 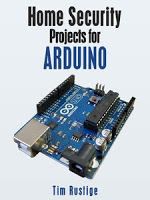 You can download Home Security Projects for Arduino from the download button below. If any link is dead please feel free to leave a comment.